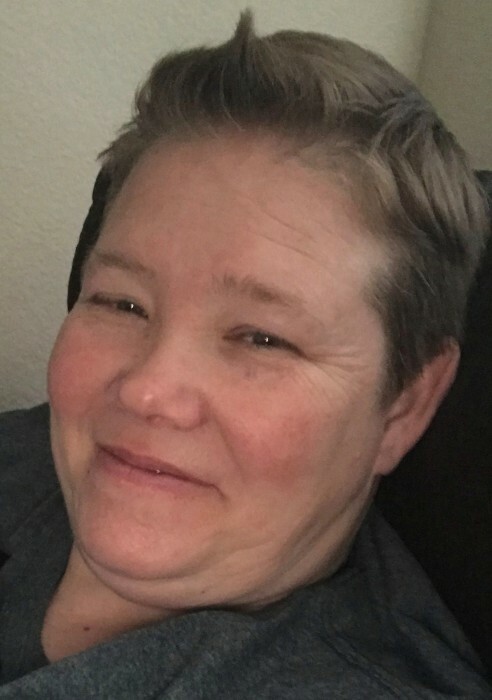 Betty Frances Rivera, 46, of Moore, died April 1, 2019. She was born July 29, 1972 in Oklahoma City, Oklahoma to the late Robert and Linda Hayes. Betty worked at Harbor Freight Tools where she made an extended family that made her truly happy. She was preceded in death by her parents, brother Chris, and sister Malinda. Left to cherish her memory are her loving wife Stephanie Rivera; sons Julian Canelo and Jose Gonzalez, Jr.; and daughter, Sabrina Gonzalez. Visitation will be Friday, April 5th from 1:00 PM to 3:00 PM at Moore Funeral and Cremation, 400 SE 19th Street, Moore, OK.
Funeral Service will be at 3:00 PM at the funeral home with Celebrant Johnny Wray officiating.